Both past and current reports on the gravity and severity of ransomware have really sent a chill down to the spine of businesses. We keep wondering where on Earth our data would be safe without a possibility of any risks. Generally, malware isn’t this malicious. If you get virus you may get pop ups or your computer might be a part of the botnet. But what ransomware does is that it literally holds your file ransom until you pay and even if you pay there is no guarantee that you are going to get your data and information back. Once infected the ransomware will start looking through all your files. So, it will find things like pictures, videos, documents, and all other personal files. It pretty much gets hands on anything and starts encrypting it. Now once these files are encrypted and it doesn’t take long, they are totally useless to you unless you have the key. 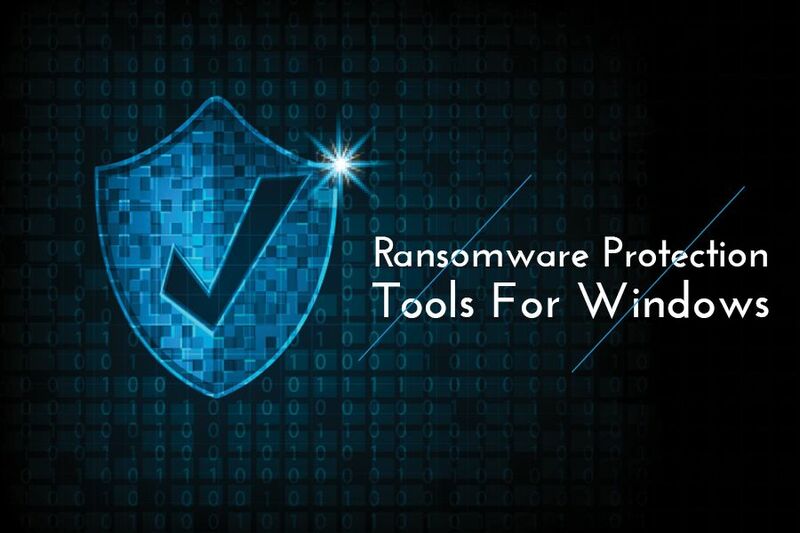 For saving you from the ransomware, we are here with the Best 5 Ransomware Protection Tools for Windows. Ransomware Protector is the best Windows ransomware protection tool that protects your data online. It protects your data by backing up your data online at a secured location. So, if in case of an infected attack to your system, your data will be safe. After backup, data can be restored and downloaded again when needed in just a single click. You can backup documents, photos, videos, emails, and other files. This is the best ransomware protection tool for keeping your data safe by backing up your data online. It ensures full protection in case of cyber-attacks and trojan attacks to keep your data safe and protected from hackers. It uses SSL technique for ensuring that no one can access your data. 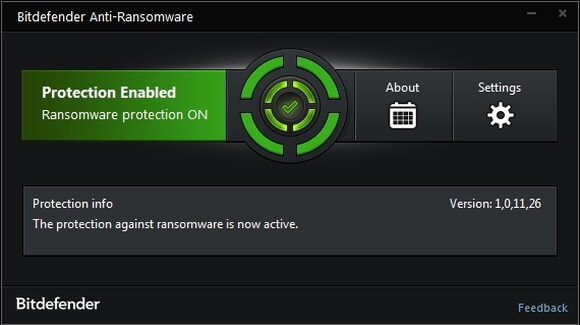 Bitdefender Anti-Ransomware Tool is the anti-ransomware Windows software that helps you prevent, detect, and remove any kind of ransomware from your system. This software is a free ransomware removal tool that detects ransomware activities through real-time processing. As soon as it finds out about the ransomware, it quickly removes and clean up the files. It can stop attacks like CTB-Locker, Petya, Locky, and TeslaCrypt. If you are using Bitdefender Antivirus for Windows, Anti-Ransomware Tool comes already installed within it. 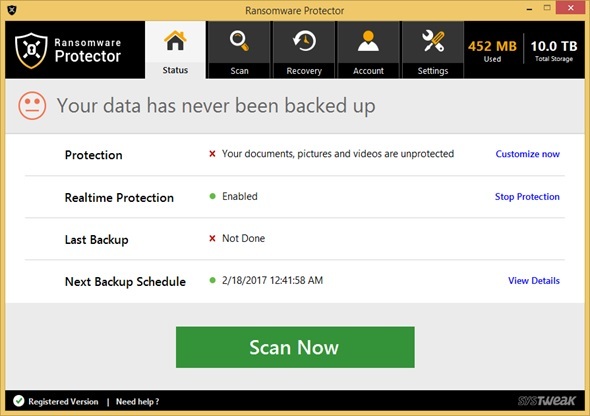 Avast developed the free ransomware removal for Windows 10 for tackling 21 forms of ransomware. Decryption tools help in decrypting the files encrypted by the attackers. Avast decryption tools makes it easy for you to find the encrypted files easily by scanning the registries and folders. It is also a ransomware scanner for Windows that pre-detects the threats and blocks uncertain activities. The file that is encrypted might have a message like “!!! READ THIS- IMPORTANT!!!.txt”. By using the decryption tool, it will scan the file and decrypt it so we can use the file again. Note: No decryption tool comes with 100% assurance of decrypting the files. Kaspersky the renowned organization for developing anti-malware and antivirus has now come up with Kaspersky Anti-Ransomware Tool that is designed for business purposes. It keeps small businesses and organizations away from ransomware for free. 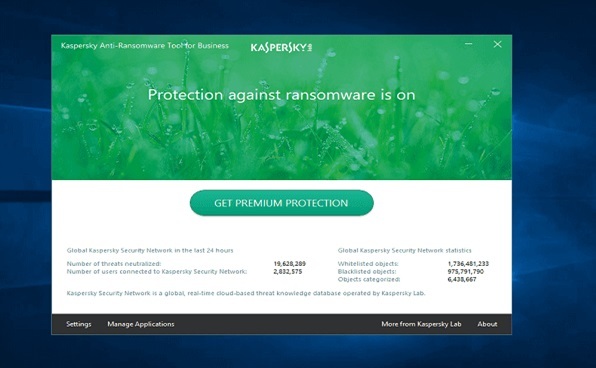 The Kaspersky anti ransomware for Windows comes with an add-on feature of Internet security that allows you to filter your browsing results which in turn gives you better experience. It’s one of the best free Cryptowall ransomware removal tool that works with most of the software. It has feature of blocking suspicious activities and can roll back after the ransomware is removed. 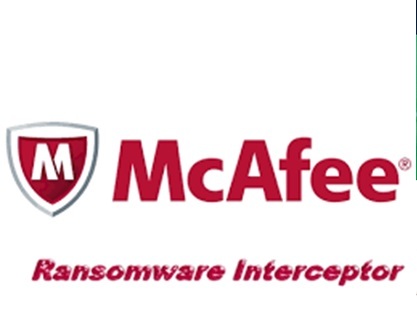 McAfee Ransomware Interceptor is a free spyware and malware removal for Windows 10. It can detect almost all the ransomware attacks in your system that also includes WannaCry and Cryptowall ransomware. This tool has a feature where it can detect attacks at early stage. It is easy to download and install over Windows in both 32-bit and 64-bit versions. This is only the Pilot product of McAfee. Latest update will be coming soon this year. This was the list of Top 5 Anti-Ransomware Tools for Windows. Hope you liked the list. If you find this helpful please let us know. Give us your feedback in the comment box below.